Termites, thumb-sized green tomato worms, garden slugs, inky black mushrooms — Alan Muskat has eaten them all. 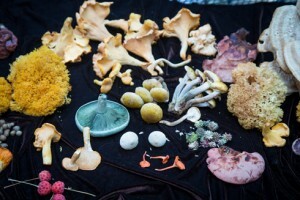 As Asheville’s resident forager, he finds, identifies and eats wild mushrooms, fruits, greens, nuts, seeds, flowers and shoots. 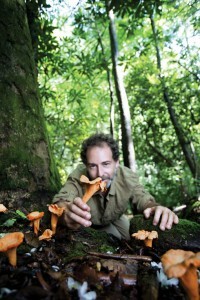 Muskat started foraging for his own table in 1992, and over the following years, he began offering classes. Recently, he’s witnessed a surge of interest in foraging. 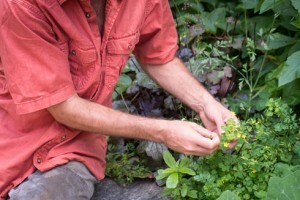 He attributes the trend to an increased focus on economics, health and environment: Wild food is free, pure and easy on the planet. Asheville offers plenty of inspiration for the forager; Muskat has lived here 20 years, and he’s still exploring. These mountains are one of the most bio-diverse regions in the world, he says, with more plant and animal species than just about anywhere except a tropical rainforest. The landscape creates a place for creativity both in nature and in business, Muskat explains. “People throughout history have come here to do their own thing,” he says.